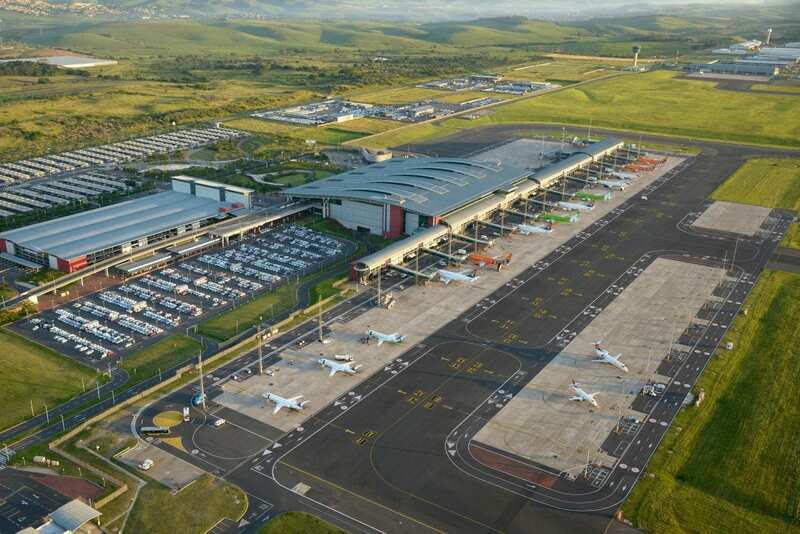 King Shaka International Airport (KSIA) in Durban ended 2018 on a record high by growing international passenger numbers by 13% in December. This, together with strong domestic passenger growth of more than 6% for 2018, saw KSIA retaining its position as South Africa’s fastest growing major airport for a second year. The December peak season performance follows an 11% increase in international passenger numbers for November, compared to November 2017. KSIA handled almost 5.9 million domestic and international passengers in total during 2018, of which 372,543 were passengers flying on international routes. “British Airways new non-stop service between London’s Heathrow International Airport and Durban, introduced in late October 2018, has propelled growth at KSIA. We are now seeing double digit growth in international passengers,” says Hamish Erskine, Co-Chair of Durban Direct and CEO of Dube TradePort Corporation. “The three times a week flight has proven that there is an untapped demand for direct air services into Durban. The growth we are seeing with the Durban- London route is in line with the projected growth demonstrated by our business case to British Airways, which factored into their decision to introduce the direct route,” he adds. Erskine explains that besides the 11% international passenger growth in November 2018 and 13% growth in December, respectively (compared to the November and December 2017), KSIA’s international passenger numbers grew by a 42% record high month-on-month, between November and December 2018. Besides the new British Airways route, this was due to Emirates putting on extra flights between Dubai and Durban in December. According to official statistics from the Airports Company of South Africa, KSIA handled a total of 5,880,390 passengers in 2018, showing a growth of 6.4%. The airport also handled a record total of 553,149 passengers in December 2018, of which 41054 where travelling on international routes. KSIA’s previous record month was in December 2017, when it handled 520,930 passengers. “As Durban Direct, our aim is to develop and grow Durban’s passenger market. We have already started engaging with the private sector in order to help us expand the impact of the program,” says Erskine. “One of the initiatives within this program involves working with our airline partners to further stimulate passenger growth through the implementation of an international integrated marketing plan. The ultimate aim is to create an environment where our airline partners see significant growth in demand, which will enable them to justify introducing additional frequencies into Durban,” he adds. For the medium term, Durban Direct’s approach will be to focus on growing the frequency and capacity of the airline partners that currently service KSIA. The long-term objective is to attract a direct air link to the Far East, possibly a direct air service into either Singapore or Hong Kong, which would provide better air access to mainland China, Japan, South Korea, and South East Asia. Meanwhile, Erskine reports that cargo tonnage throughput from Dube TradePort’s Cargo Terminal continues to follow closely on the heels of passenger numbers, with international airfreight growing by 40% from April to December 2018. With the introduction of new air services, the market is quick to utilise the additional capacity, fueling airfreight demand across the board. From October till the end of December 2018, international cargo figures grew by 7,64%, following the introduction of the British Airways direct service to Durban.